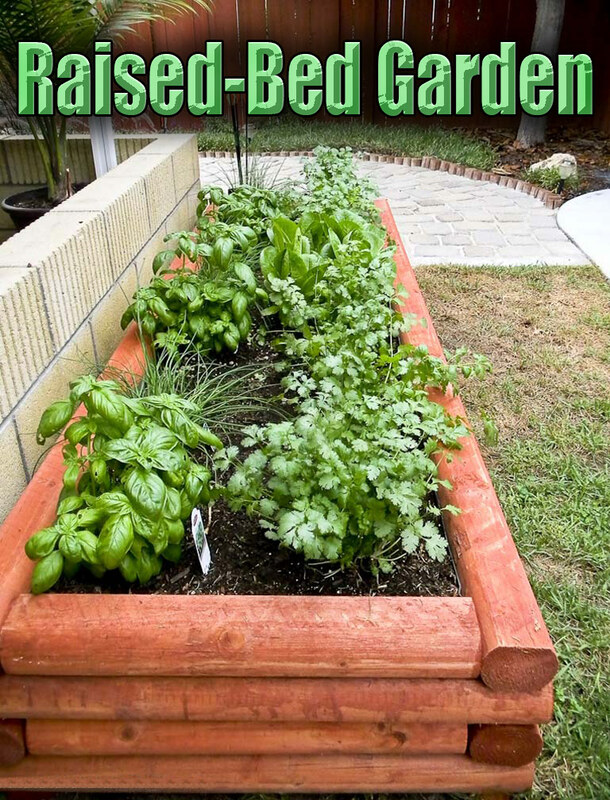 Raised-bed garden is popular because it’s relatively easy to build, plant, weed, and maintain. Since the soil can drain sooner and warm up faster in spring, they enable you to plant earlier in the season. 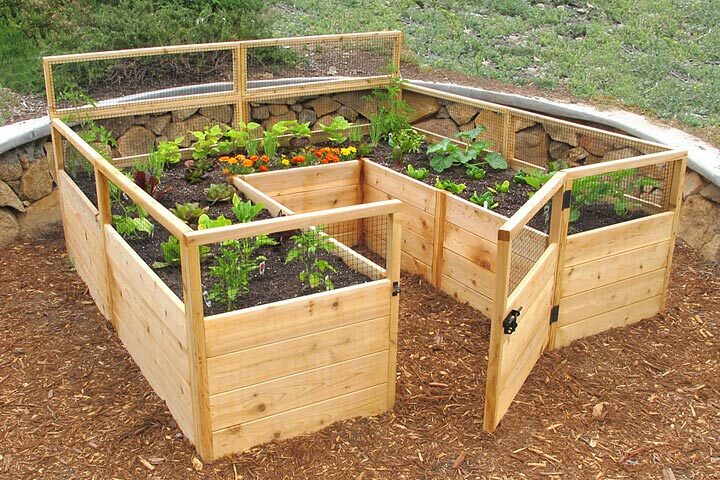 You can make a garden of permanent or temporary raised beds. Here’s how. Use rot-resistant wood such as cedar, or bricks, rocks, or cement blocks to create a bed that is at least 1 foot deep, no more than 3 to 4 feet wide, and as long as you like. If the beds are wider than 3 to 4 feet, it’s hard to reach the center to weed, water, and fertilize. To slow the rotting of the wood, consider painting the wood with an Earth-friendly preservative, such as linseed oil or borax-based treatments. Ask your hardware store staff for suggestions. If building the bed on soil, improve drainage by loosening the soil in the bottom of the bed with a shovel or spading fork. Then fill the bed to the top with a mixture of compost and topsoil. In the garden, temporary raised beds allow you to change the design each year. 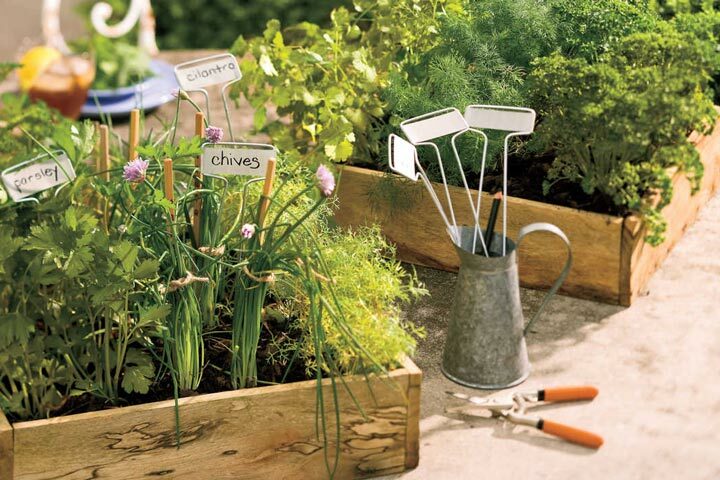 Shovel garden soil into raised beds, or bring in a mixture of compost and topsoil. Beds can be any shape you desire: rectangular, curved, or even round. The basic rule of thumb is to build beds about 12 inches deep and no more than 3 to 4 feet wide. Remove sticks, rocks, and other debris, and rake the tops of the beds smooth and flat. 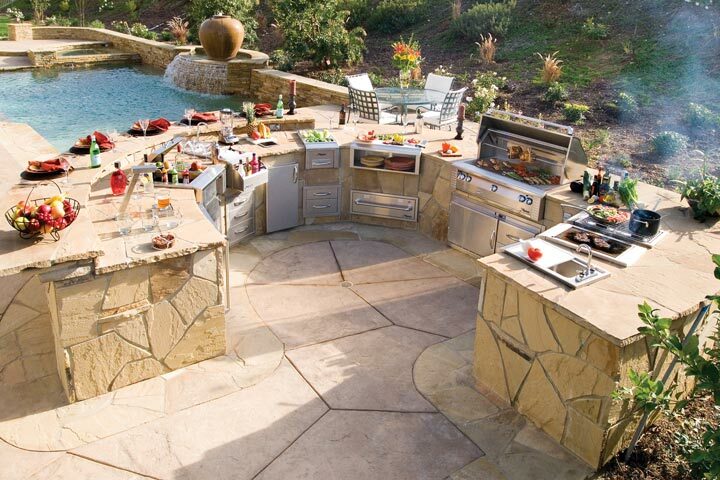 Plant your favorite vegetables, herbs, and flowering plants at the proper times for your area. Concentrate watering and any fertilizer right around the plants, and try not to compact the soil by stepping on it. Plant tall plants against a wall or on the north side of the bed. 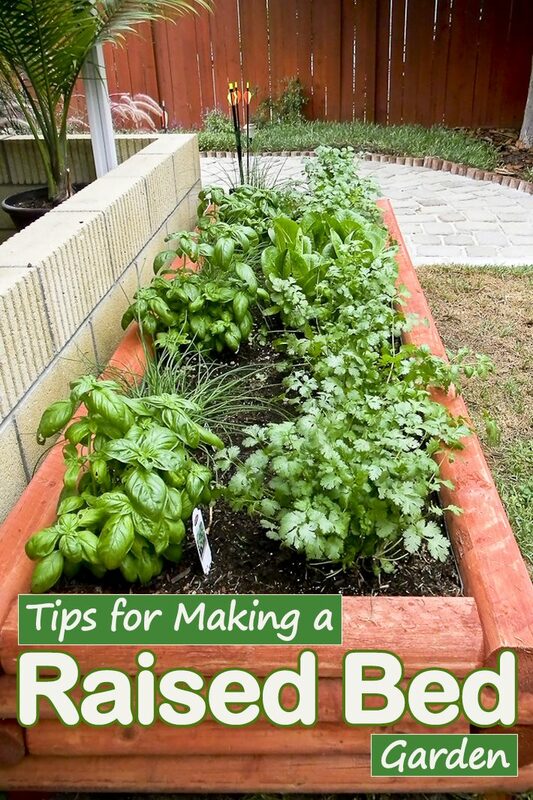 Raised beds may dry out faster than other garden beds, so water regularly. Also, since there is less soil mass to provide food for the plants, fertilize regularly with an all-purpose plant food. Mulch with straw, shredded bark, or other organic materials to conserve water and prevent weeds from growing. Succession planting works very well in raised beds. For example, once an early crop of lettuce is finished, pull out those plants and plant another crop such as beans. If a plant gets diseased or infested with insects, pull it out immediately and replace it with a different plant so the problem doesn’t spread. 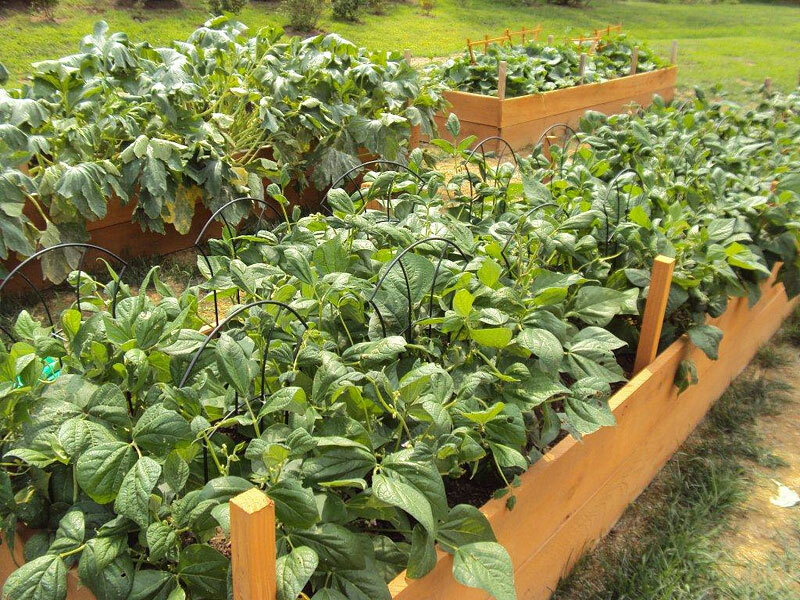 Grow climbing plants such as pole beans and cucumbers on trellising at the back of the bed. 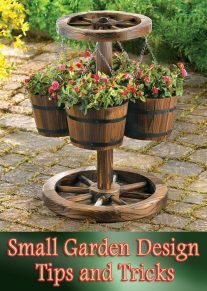 Place cascading plants such as lobelia and petunias in the front to trail off the bed.